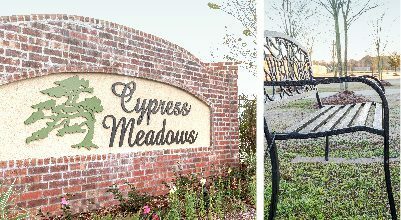 Cypress Meadows is an ongoing project for the Austin-Clement Enterprises team as it is currently in Phase III of development. 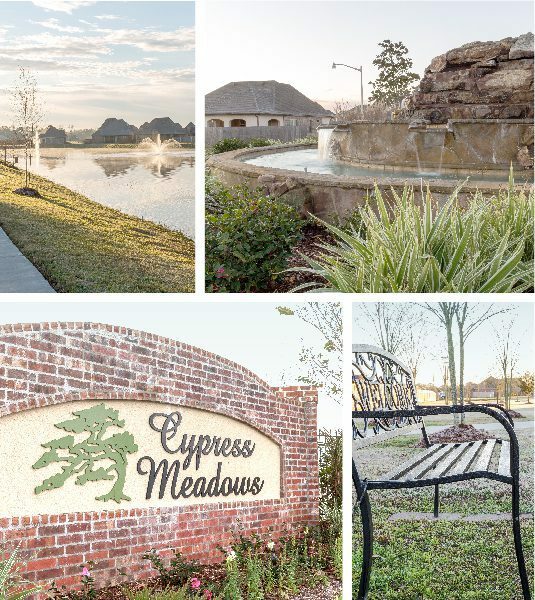 Walking paths, beautiful fountains and green space adorn this beautiful subdivision where pride of ownership is evident. Phase I consists of 131 lots—no available lots. Phase II consists of 74 lots—no available lots. Phase III consists of 173 lots and contracts are being taken now. *Remember to confirm school districts.